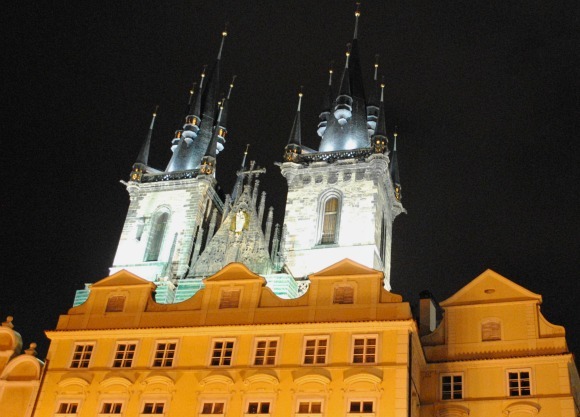 This is your free Prague City Guide! This city still has some of the signs of its communist days, but it’s the history from much longer ago that shines here. 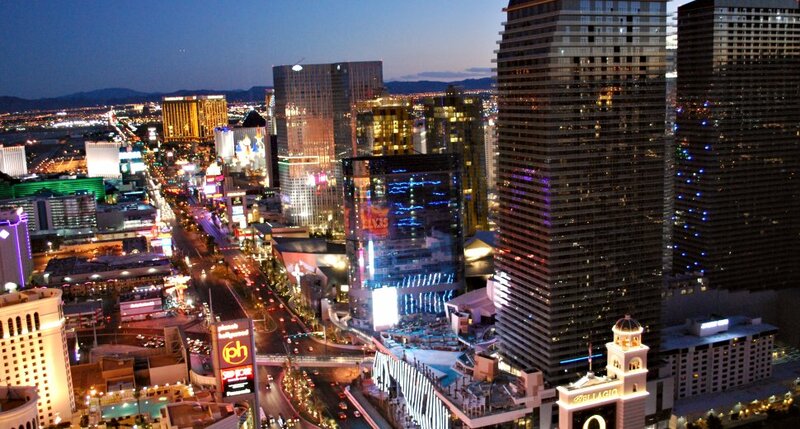 There’s a lot to see and do and although not as cheap as it used to be, the city is still relatively economic to enjoy. Here are our personal recommendations of how to spend your time. 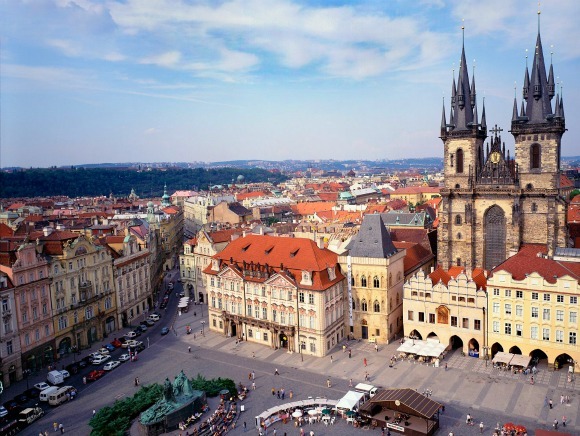 The Old Town Square (Staromestske namesti) – For us, this square simply IS Prague. It’s a beautiful cobbled space surrounded by historic and attractive buildings and dominated by the incredible gothic towers of the Tyn Church on one side and the Town Hall on the other. It’s like stepping back in time by hundreds of years just being here with gas lit lanterns and narrow alleyways leading away from the square. At many times of the year, you’ll find markets and fairs in the square, notably Christmas when this photo was taken. The next few highlights are all located around the Old Town Square. Church of Our Lady before Tyn (Týnský Chrám) – This church was founded in the late 1300’s and although it’s the gothic towers outside that are the star, it’s worth looking inside too if you happen to find it open. Make sure you return to the square at night to see the towers lit up too. 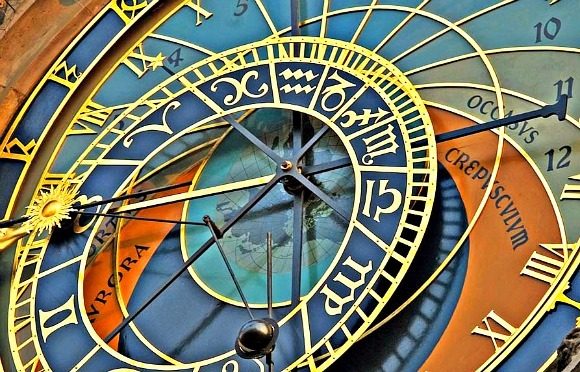 The Astronomical Clock – This clock is on the wall of the Town Hall and there’s an endless stream of tourists lining up for photos in front of it. 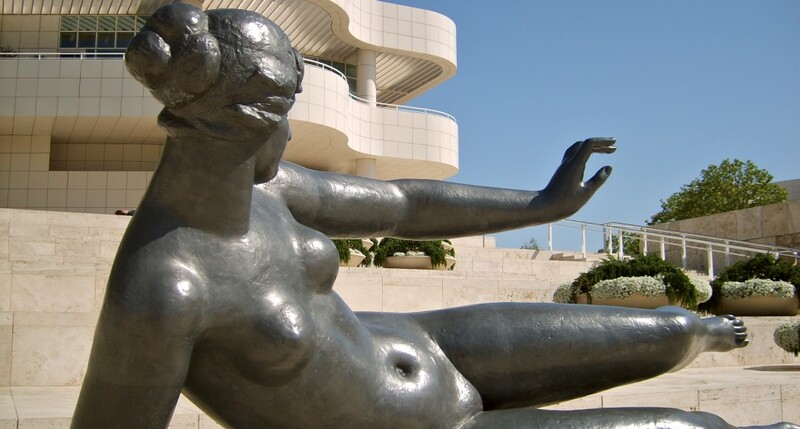 The positions of the sun and moon are depicted along with the calendar dial and it also has moving sculptures. On the hour, every hour you will witness the procession of the twelve Apostles. The Old Town City Hall – This is now the home of the Prague Tourist Information Centre and is full of useful information. 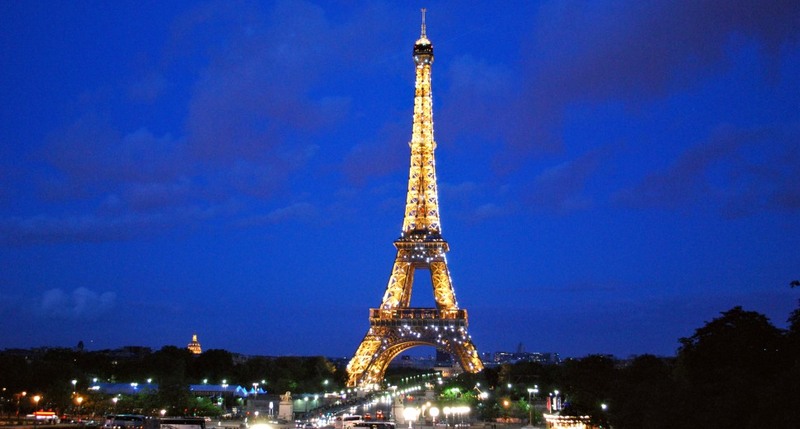 There’s a twist though, as the tower here is also a tourist attraction. 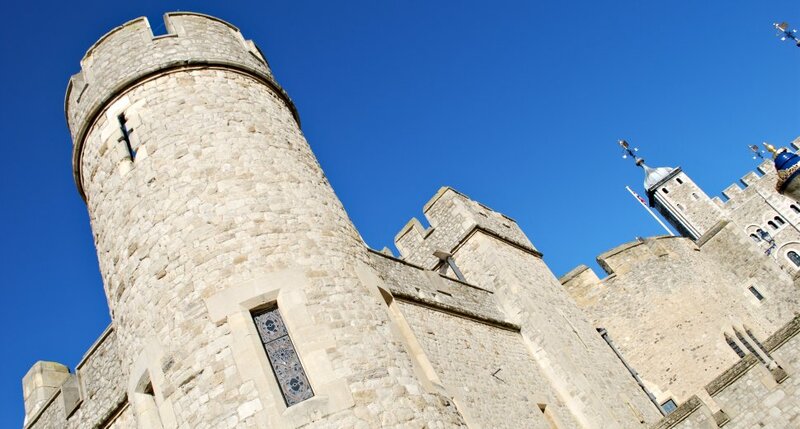 It was originally built in 1338 and you can now climb right to the top. There is an elevator if you don’t fancy the stairs and the view of the Old Town Square from the top is fantastic. 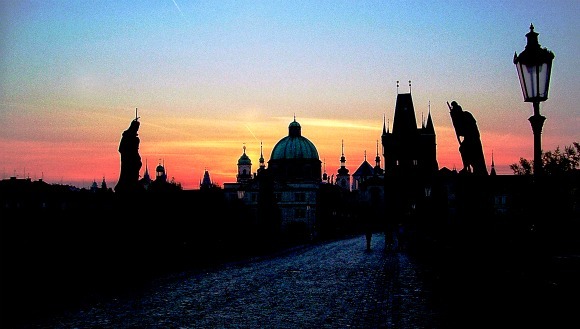 Charles Bridge – Without doubt, this is the most famous bridge in Prague. It crosses the river Vltava and dates back hundreds of years. It’s a pedestrian bridge with cobbles and statues along the way. The bridge has three impressive towers too and we’d recommend climbing the tower at the Old Town end for a great view of the river, the bridge and Prague Castle. 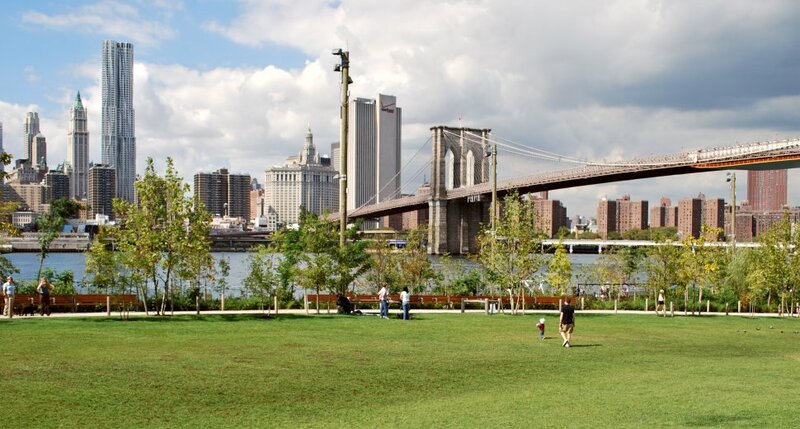 During the day, the bridge is bustling with tourists and is lined with artists selling their work. You’ll recognise the bridge from many films too like the Tom Cruise version of Mission Impossible. Mala Strana (the Lesser Town) – This is the area that Charles Bridge takes you to on the opposite side of the river to the Old Town and it’s gorgeous! Every picturesque cobbled street doesn’t seem to have changed for 100s of years and as a result it’s often used for movies and commercials. Take advantage of it all and explore as many streets as you can. There is a central square (Malastranske Namesti) and there are plenty of boutique shops, traditional pubs, restaurants and churches. 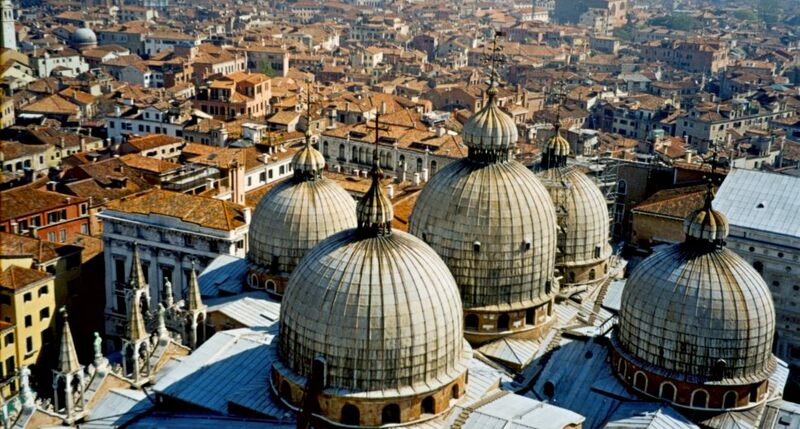 One place of worship definitely worth seeing is St Nicholas Church with its large dome and finely decorated interior. Prague Mala Strana: Read more, pictures & map..
Prague Castle – It’s probably not a castle like you might expect as it’s a collection of administrative buildings, palaces and churches including the cathedral (see below). The castle is positioned up on the hill above the Mala Strana district and is the seat of the President of the Czech Republic. You can see the changing of the guard at the front gates on the hour every hour. Prague Castle: Full review, pictures & map..
St Vitus Cathedral – This is the centrepiece of the Prague castle area and can be seen for miles around. 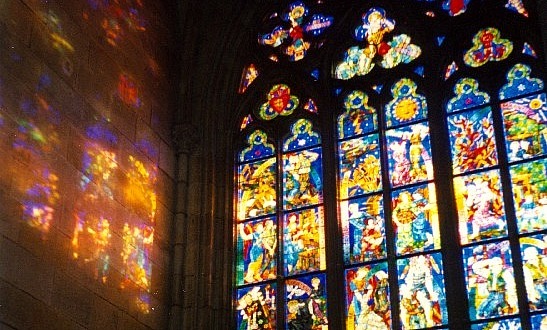 It’s another gothic masterpiece on the outside and inside you’ll find some really impressive stained glass windows. 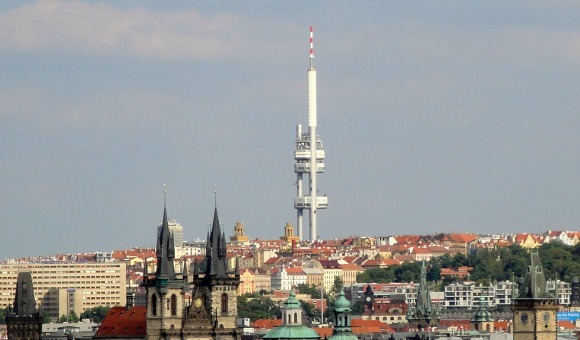 Prague TV Tower – Yes, it’s just a TV tower, but the design has to be seen to be believed and the views on a good day are fantastic. It reminds you more of a soviet missile than a TV tower and the artwork sculptures of babies crawling up it, make it even more bizarre. It was completed in 1992, so it’s one of the last legacies of the communist era and it has an indoor observation area and a restaurant/café. The observation deck is open daily from 10am to 10pm every day. We caught the Metro to get here, line A stop Jiriho z Podebrad. 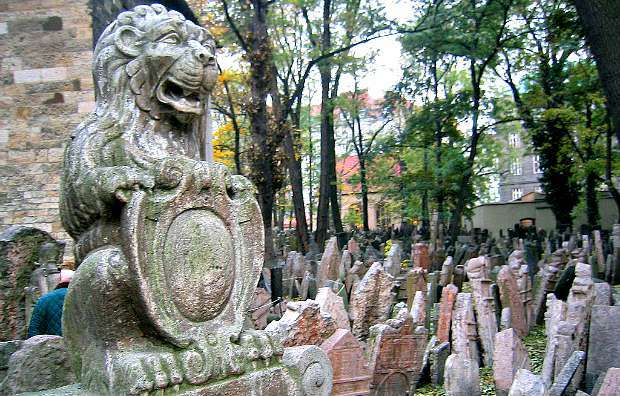 The Old Jewish Cemetery – It sounds somewhat morbid as a tourist attraction, but the old cemetery in the Jewish quarter of Prague (known as Josefov) is fascinating. The oldest tombstone dates back to the 1400s and the graveyard was built in layers so that every time it was filled, a new layer of soil was added and the process began again. The result is headstones all over the place – about 12,000 of them, although the number of people buried here is thought to be far higher. 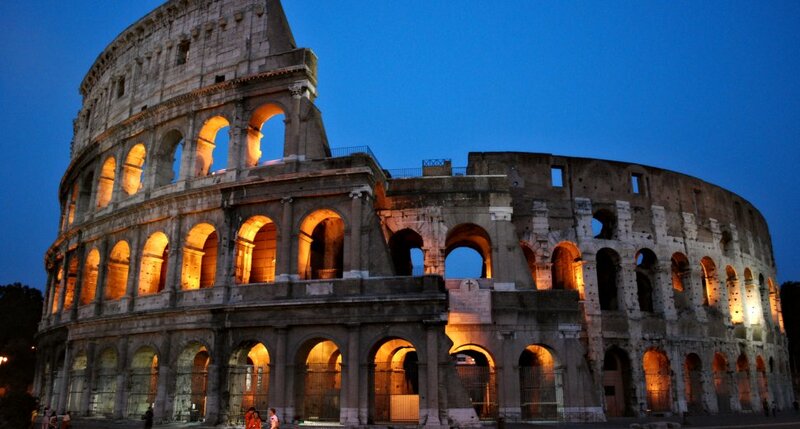 Take a walking tour. The city is compact and we found these tours a great way to be introduced to the city by someone who knows it well. There are lots of these tours available, so shop around and pick up leaflets at the Tourist Information Centre at the Old Town City Hall. Our tour started in the modern Wenceslas Square and meandered around the Old Town, and Mala Strana, ending up at the Castle. It was fascinating, although our legs ached at the end! 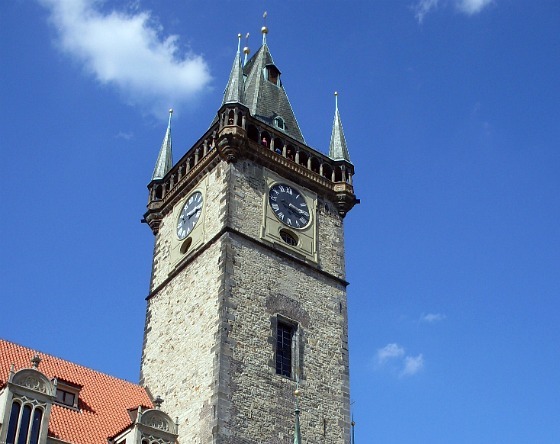 One tour which consitently gets good reviews is the Historic Prague Walking Tour which includes Charles Bridge and the Kings Route. 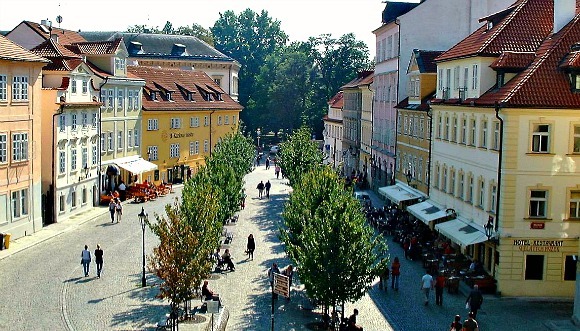 Prague Segway Tour – See the sights whilst gliding along on a Segway! 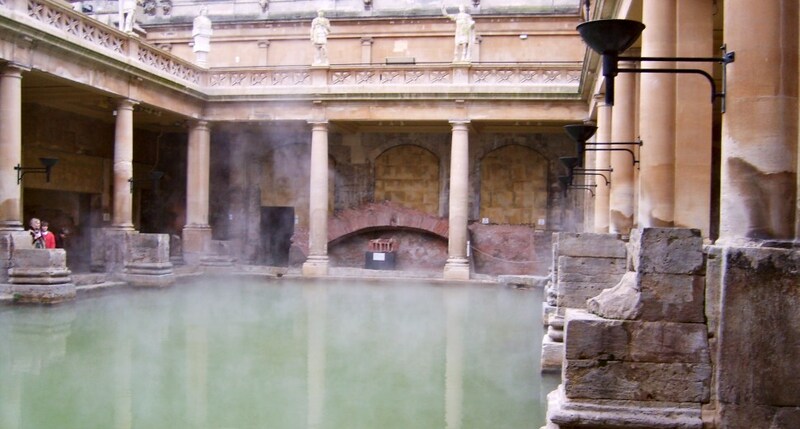 If you’d prefer to see prices in UK Pounds, click here. 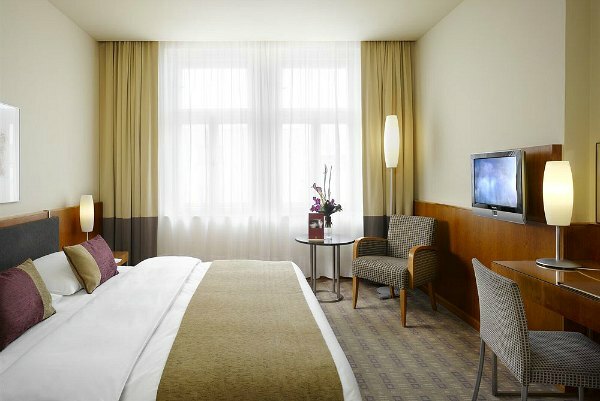 From personal experience, we would recommend the K&K Hotel Prague which is attractive, comfortable, and near to Wenceslas Square. Our advice generally would be to book a hotel in the centre of Prague so you can walk everywhere, but also check out reviews of the hotel as some of the hotel ratings here are out of date and standards do vary wildly. As mentioned above, Prague is easy to walk around and you probably won’t need to use public transport unless you want to go further afield. We found the Metro easy to use and VERY cheap. There is also a great tram system in Prague and we also found them simple to use. We found the best way to get from the airport was to take one of the many mini-busses which deliver a group of people direct to the door of their various hotels. This system was well organised at the airport, but make sure you’ve agreed the price before getting in. 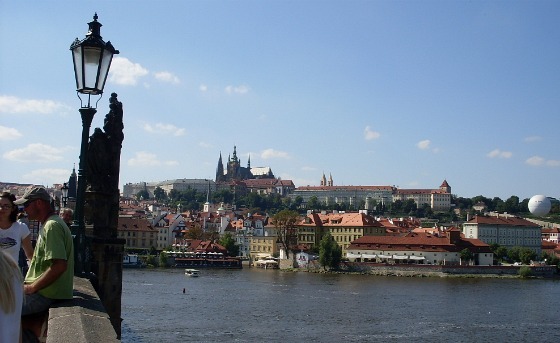 Alternatively, direct private transfers to your hotel are very reasonable in Prague. Click on the Airport Transfers button for options and latest prices.